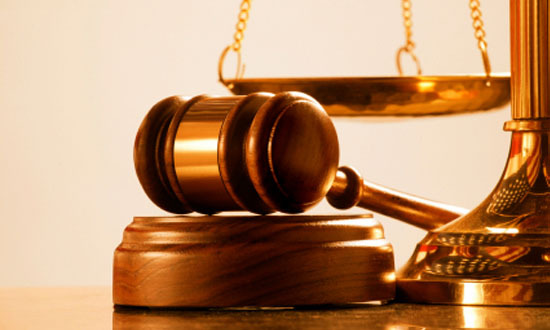 A private investigator is routinely called upon at various stages of a civil lawsuit. The case may not yet be filed – the attorney wants to find out as much information before he or she has to file a complaint. Perhaps the attorney is looking for additional information to bolster the amended complaint. It is also possible that litigation has been going on for years, and the attorney is trying to re-energize his case or prepare for a tough round of cross-examination. After years of litigation, attorneys were trying to get the last of their key depositions completed. One of the defendant’s witnesses simply refused to appear for his deposition. He claimed that, due to his deteriorating health, he was no longer working and his doctor advised that the stress of a deposition would be too taxing for him. Attorneys called in their private investigators who quickly discovered that the witness had recently purchased a small sailboat and a sports car. Furthermore, the witness had recently received a speeding ticket for driving significantly over the speed limit in his new car. Additional investigation revealed photos of the witness splashed across the society pages – at galas, regattas, and the theatre. He even tweeted about his recent deep sea fishing excursion. The judge was furious, the opposing attorneys were embarrassed, and the witness was soon deposed. The general counsel at a major corporation contacted her outside counsel for advice. An executive was suspected of receiving kickbacks from international suppliers. Private investigators were brought in by the outside counsel and they began to conduct discrete interviews and review the executive’s corporate telephone records and email exchanges. While they did substantiate the kickback allegations, the intelligence led investigators to uncover evidence of a larger cover-up by the executive and others at one of the overseas facilities. There was proof of a significant environmental accident that had been hidden from corporate management and the local government officials. An employee of a large corporation alleged that during the workday for the past two years, he had experienced sexual harassment and threats through phone calls and emails. Although the communications were anonymous, the information conveyed to the employee led him to believe that they came from someone within the corporation. When he felt the company didn’t address his complaints and reporting of the incidents adequately, the employee quit his job and filed a multi-million dollar lawsuit against the company. Through interviews, phone records, and intelligence gathering, investigators were able to narrow the pool of potential harassers down to three individuals. The employees’ company-owned computer hard drives were imaged and searched, revealing documents and an Internet history that supported the employee’s allegations. The lawsuit was settled to the company’s satisfaction. The offending employee was fired, arrested, and named as a defendant in several civil lawsuits. The highly-anticipated release of Company X’s new video game was shrouded in secrecy. All of Company X’s employees and contractors signed non-disclosure agreements and significant security measures were in place at the warehouse and development sites. As a result, there was shock throughout the industry when Company X’s game showed up on the Internet sites weeks before the release. Company X’s sales were half of what they had anticipated. The Company X CEO was furious and convinced that someone had leaked information to their biggest competitor. Investigators were immediately brought in to review of surveillance, computer and phone records. A tip line was established and numerous interviews conducted. Through significant intelligence-gathering, investigators were able to prove that a group of key Company X executives had recently attended the same Asian conference as their competitors. During that time, the competitors purchased a development copy of the game and other corporate information regarding Company X. A criminal investigation commenced and Company X immediately filed a civil lawsuit against its competitor. Two neighbors approached an attorney with complaints about recurring problems and broken parts in their dishwashers. The appliances were the same model, manufactured by a national company and serviced through regional centers. The attorney brought in investigators who were able to locate and interview people who had previously worked for the manufacturer and the service centers. Many of the witnesses spoke of a systemic problem that was ignored by corporate management. In fact, several of the former employees had also owned that model of dishwasher and suffered similar problems. Using the information from the investigators, the attorney filed a class action lawsuit and eventually obtained a large settlement for his clients and class members.